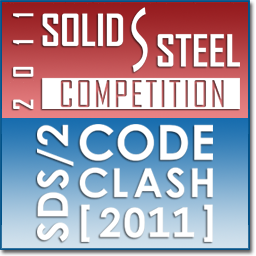 August is the last month to submit your entries into the 2011 SDS/2 Solid Steel Competition and Code Clash 2011. 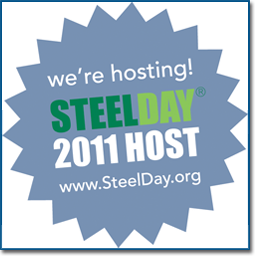 The Solid Steel Competition is designed to recognize innovative, challenging projects detailed using SDS/2. The Code Clash 2011 programming competition will highlight the creative minds of SDS/2 users — and promote the creation of parametrics and custom members within the SDS/2 community — by awarding prizes to the authors of the best parametrics and custom members. The final day entry submissions will be accepted into the competitions is August 26, so submit your projects and parametrics today! 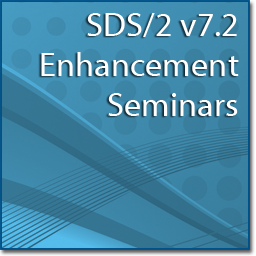 The final SDS/2 v7.2 Enhancement Seminar will be held on Friday, August 19 in Las Vegas, Nevada. As with the other cities, the cost for the one-day seminar is $25 per person. The seminar will start at 8 a.m. and finish at 5 p.m. Seating is limited to 25. Please note that hotel rooms have not been blocked off for this seminar. Also, no refunds will be issued to cancellations received after August 12. To reserve your seat, email Kealey or Lacey at Design Data. Click here to learn more.